The Towering Inferno film starring, Steve McQueen and Paul Newman. 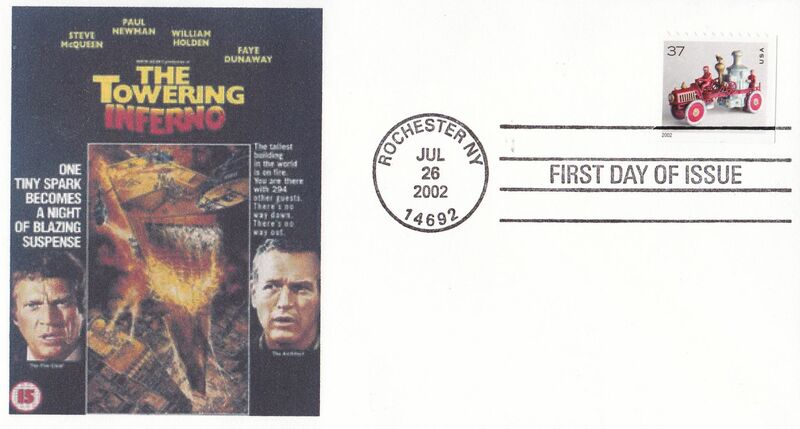 Very nice First Day Cover Cachet made in 2002 with the US "Pumper Stamp". A nice tribute to the movie and fire fighters all over the world. Only five these were ever made! Also featured here is a tribute to Paul Newman in 2015.